We’d like to encourage you to register your upcoming wedding with us at Dikken’s. 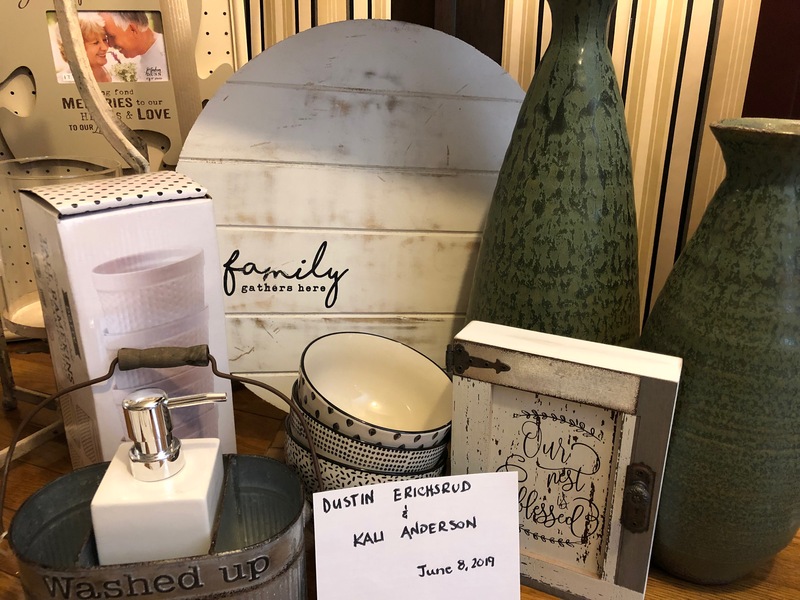 We offer everything from flour sack dishtowels to silicone spatulas, collapsible colanders to personalized cookbooks, along with three floors of home decor. We recommend you come in at least a month before your first bridal shower when we will walk you through the store and you complete a “wish list” of items to help make your new house together a “home”! After your wedding, you will receive a gift certificate from us reflecting 10% of all items purchased for you at regular price. This may be used on anything through out the store! If you are shopping for a couple listed on our registry, we will work with you and the couple’s list and you will leave our store knowing you bought the perfect gift-AND- it will be beautifully wrapped- free of charge! If you are unable to visit out store in person, please contact us by phone or email and we will be more than happy to assist you!